I’ll admit upfront that I’m a huge Jodi Picoult fan. 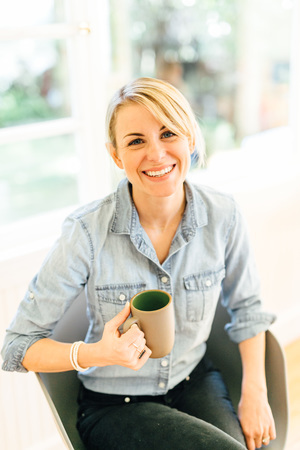 I discovered Jodi the summer after junior year of college when I was supposed to be working hard as a copy writer intern for an advertising agency. Hah! Well, after the first book (I think it was Plain Truth that got me and still remains my favorite book of hers), I sat at my little intern cubicle and read.that.summer.away. Let’s just say that I got very good at hiding my book the second my boss came into the room! Just like I’ve gotten very good at tossing my cellphone in the backseat when I see a cop on the road since I’ve moved to California. But back to Jodi—-I couldn’t stop. I had it bad. Hopefully that boss doesn’t read this blog. If you’re a Jodi Picoult fan, you understand that she gets you from the very first page and there’s nothing you can after that. Well, guess what? Lone Wolf is the same way! It’s all very classic Jodi. However, this book was not my favorite of hers. Don’t get me wrong, when I took this book with me to Avery Island last month I found myself coming home from our fancy dinners and reading late into the night. 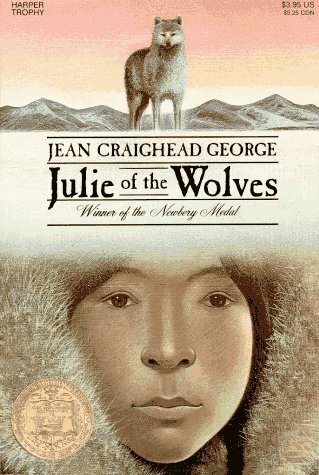 It’s gripping and also really interesting if you have an unnatural obsession with Julie of the Wolves like I do. I think my main issue with this book was that it was a little on the bland side for me. Other Jodi books have literally had me out of my seat and pacing around the living room (or throwing the book at the wall). To me, Lone Wolf just seemed very typical. I wanted more character development, I think…I’m honestly not sure. Unfortunately though, the last two books I’ve read from her haven’t wowed me like her older stuff. Remember when books were just $3.95? In case you’re interested, here are my favorite Jodi books in order. What about you? Jodi fan? Not so much? Hide books at work? Obsessed with reading about Amish people? Do tell. P.S. I asked on Twitter the other day what everyone thought of The Vow and if it’s worth renting….well, I watched it last night and LOVED IT. I’m a sap at heart. Hello Dolly Bars Happy Mother's Day! Thanks for that summary of Jodi books! I added them to Goodreads right away! I’ve never read any of her books, but I always see my mom reading them. 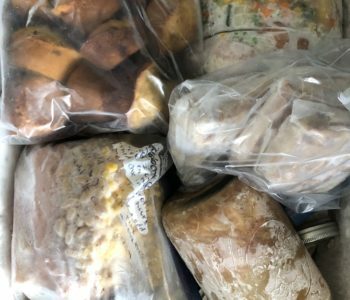 I may or may not have a super unhealthy obsession with the Amish to the point where my friend took me to Sarasota (I’m from the Florida area), because there is a huge Amish population. Their pies are the best things in the world. 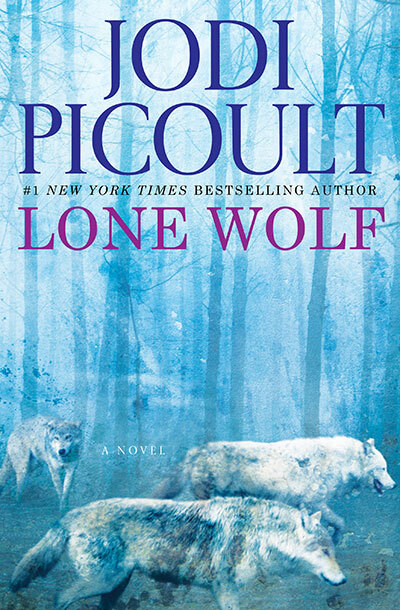 I love Jodi Picoult, but like you, Lone Wolf was not my favorite. The Pact was the first book of hers I read and it remains one of my faves! It’s so hard to put her books down. But that could be due (in part?) to my unnatural obsession with Rachel McAdams. I loved the first 5 Jodi Picoult books I read but after that found them to be all very samey and formulaic: set up a moral dilemma, examine it from both sides to get readers questioning their initial moral assumptions, use lots of over emotive language, resolve said dilemma with a twist that has everyone learning important life lessons. Only read her My Sisters Keeper, but enjoyed it. I like that you said her latest isn’t that good actually…shows that even good authors get into funks. Picture it: Sicily 1932. (Golden girls? Ever watched it?) If you haven’t, you’ll love it since you were born in the wrong decade and all. Obviously they weren’t referring to you because I’m not nearly as in shape, but it totally made me think of you. And I laughed and immediately realized I was still holding the tampons I bought at the convenience store. Time to resume to American Wife. I lalalooove your book suggestions. Thank you for the reads! I’ve never read a book by Jodi Picoult but now I’m intrigued. Thanks for the recommendations. Have a great weekend! p.s. Have you read Birdsong by Sebastian Faulks? 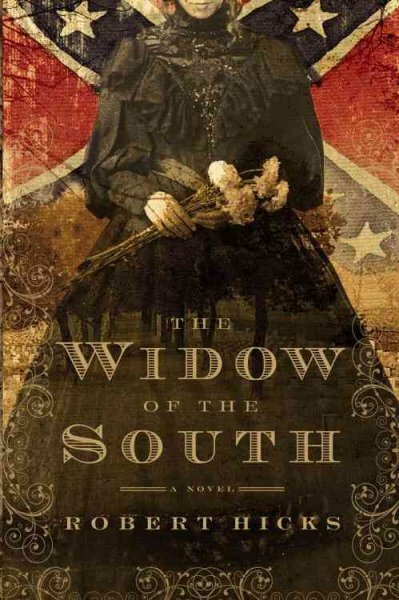 It’s a historical love & war novel based during WWI. I do love Jodi Picoult books but haven’t read one in a while. I always have a toss up between Plain Truth, The Pact and Nineteen Minutes being my favorite, although I have loved each one that I have read of hers. I loved that for Plain Truth she actually went and lived with an Amish family to really immerse herself in the culture before writing about it. She is definitely a top-notch author! Plain Truth haunted me… I loved reading it even though I had a deep anger towards the characters… Have you read My Sister’s Keeper? That is my favorite Jodi Picoult book. I am in the process myself of reading all of her books. There have been some I love and some I didn’t like so much but her writing is spectacular. I just finished Plain Truth and it is one of the ones I really liked. Salem Falls was also great and I LOVED Keeping Faith! It’s so nice to hear someone say Jodi isn’t their favorite! I feel the same way. Her books leave me with some sort of anxiety or something that I can’t actually pinpoint or articulate exactly but it bothers me. Plain Truth was also the first book of hers I read and I think it might be why I keep going back for me too. I always hope for the book to be like that one but it never is. Love Jodi Picoult — the last couple have been bland like you said — making me nervous to read this one now though! HUGE Jodi Picoult fan! The first book I read of hers was The Pact and it remains my favorite! (must be something about the first one you read!). I also loved My Sister’s Keeper and Nineteen Minutes. I agree though, her latest books haven’t been as good. I used to run out and buy them the second they came on the market, but I haven’t even bothered with Lone Wolf yet because I don’t think it will be as good. I know lots of people hated My Sisters Keeper, but I liked it. I have Vanishing Acts waiting to be read, but I have so many other books to read. It’s my goal to read it this summer. Have you read Jodi Picoult’s Songs of the Humpback Whale and Harvesting the Heart? They are two of her earlier books, and in my opinion, her best! I’d love to know if you’ have read them. If you haven’t, please do! The Pact and Nineteen Minutes are my favorites! I want to read Plain Truth soon. And I thought The Vow was just okay ( I could not stand Rachel McAdams’ character!). “Just like I’ve gotten very good at tossing my cellphone in the backseat when I see a cop on the road. I’m sorry—I definitely did not mean for that to sound inconsiderate! I’ve read only one of her books since it was a birthday gift. 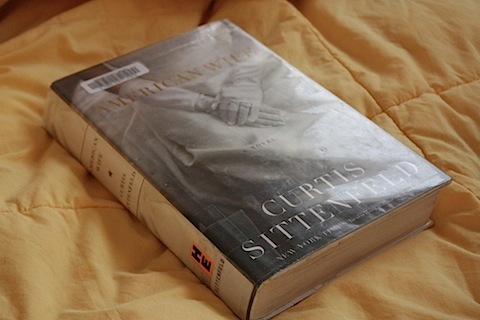 Started reading it when I had gotten into a car accident in a blizzard and had to wait for a tow truck…. I was happy to have the book! I LOVE Jodi Picoult! I think I have read every one of her books except the last 2. I really like Nineteen Minutes and Plain Truth. I’m reading Lone Wolf right now! Jodi is one of my favorite authors- my first one (and favorite one) is My Sister’s Keeper. But I love Keeping Faith and Handle with Care as well! Thanks for the summary- I know which books I’m going to be reading this summer! I am so glad you wrote this! I am in the process of reading this book and it is really a process. I’m having such a hard time getting through this book and I love Jodi. I completely skim the parts about the wolves and am waiting to get to the end. My favorite Jodi books are the Pact and Nineteen Minutes, as well as many others but this one, just not it. this is awesome! to be honest, i was disappointed with lone wolf too. i just was, don’t really know exactly why. plain truth is my absolute favourite as well! and funny enough, i do love reading about amish people. it’s amazing!! I think I should start reading her and begin with the book at the top of your list. Also, so glad you enjoyed The Vow. Rachel McAdams is just too darn likeable…I love her. Vanishing Acts was definitely my favorite book of hers. I did enjoy 19 Minutes although I figured out the ending halfway though the book. House Rules had me on the edge of my seat because I was so darn nervous! You make a convincing argument to go read some Jodi Picoult! I am obsessed with Jodi Picoult. I’ve read almost all of her books. This post cracked me up because I am going on vacation tomorrow so I just bought Lone Wolf for my Kindle. I needed a second book, so I came here for recommendations…and surprise! This must be why I love all the books you recommend…we have the same taste in literature. Have you read Defending Jacob? I loved it – very Picoult-esque with quite the twist at the end. I read one Jodi Picoult book (19 Minutes), and it was very good, but sad! I was afraid to read another one that after that one, because the first one made me upset, and sometimes I don’t like reading sad books. I also have an unnatural obsession with Julie of the Wolves. My Sister’s Keeper was really good too. I’ve read most of Jodi Picoult’s books and Lone Wolf for me was kind of meh. I don’t understand how My Sister’s Keeper didn’t make your top 10 though!! Also a Jodi fan! My favorite, though, is My Sister’s Keeper. It was the first one I read and remains my favorite! I read it in one day the summer before my senior year of high school. Hooked. So funny because I have a strange obsession with reading about the Amish :). Loved Plain Truth too…havent read many of her others. Thanks for post. That’s good to know about Jodi’s most recent book. It’s not one that I have read yet. I am intersted in reading Salem Falls…even more so now that it is at the top of your list. Have you read Harvesting the Heart. It is an older one (1993) and it is really well written. IT involves a mother-daughter relationship which I always enjoy! I like so many of Jodi’s books. I have read them all except Lone Wolf. Surprised no one mentioned Sing You Home. It’s a newer one that I thought was well done. If you haven’t read my sisters keeper, READ IT NOW! I’m not a huge Jodi fan but that book is incredible. I loved Julie of the Wolves!! I had to have read it 5 or 6 times growing up. I fell in love with my Sister’s Keepers years before the movie came out. Then I became obsessed. Thanks for the Julie of the Wolves throwback. I used to be on an obsessive rotation between that, Island of the Blue Dolphins and My Side of the Mountain. Plus occasionally some Indian in the Cupboard for fun. Good times. OMG I loooooooved Julie of the Wolves. I want to reread it! Hiding books at work alllllll the way. Oh I’m so guilty. Don’t tell my boss. Or my coworkers. Oopsies. Nineteen minutes, Handle With Care, and My Sister’s Keeper are my all-time favorites. I am also a huge Jodi Picoult fan and try to read all her books. The first one I read was “My Sister’s Keeper” and that one remains my favorite. I read it on a bus in high school and was bawling because I was so heart wrecked. I also read “Lone Wolf” and although it was good, it certainly wasn’t my favorite. I enjoy her writing style and also have she chooses to write about often controversial subjects. Wait, did you throw Sister’s Keeper at the wall? Because I literally did after a certain plot twist. It was my sister’s book. She was in the room when I threw it. She was not amused. I think you are just developing more in your literary tastes. Don’t get me wrong, I am not a book snob, but we tend to read a lot of the same things, and I kind of stopped reading Jodi a few years ago. I just felt a lot of books were the same and agree with you regarding character development. I think the more you develop as a reader, the more you tend to expect from your writers. Just a thought! I’ve read a bunch of her books, some that I had to pull myself through and others that I couldn’t put down. While I haven’t read Lone Wolf I do feel the need to share that House Rules is and probably always will be my absolute favorite of hers. Just being able to see inside the head of a child with autism was so fascinating, I couldn’t stop reading it! Just finished reading her book so I’ve been avoiding this post 🙂 . I agree with the character development. I was really looking for that narration by Luke Warren to explain his reasoning for the affair or for him to explain his relationship with the rest of the family. I felt like that was the main point of the book, to understand Luke. Albeit my above comments, like you I loved it and could not put it down! Anyone have different feelings?